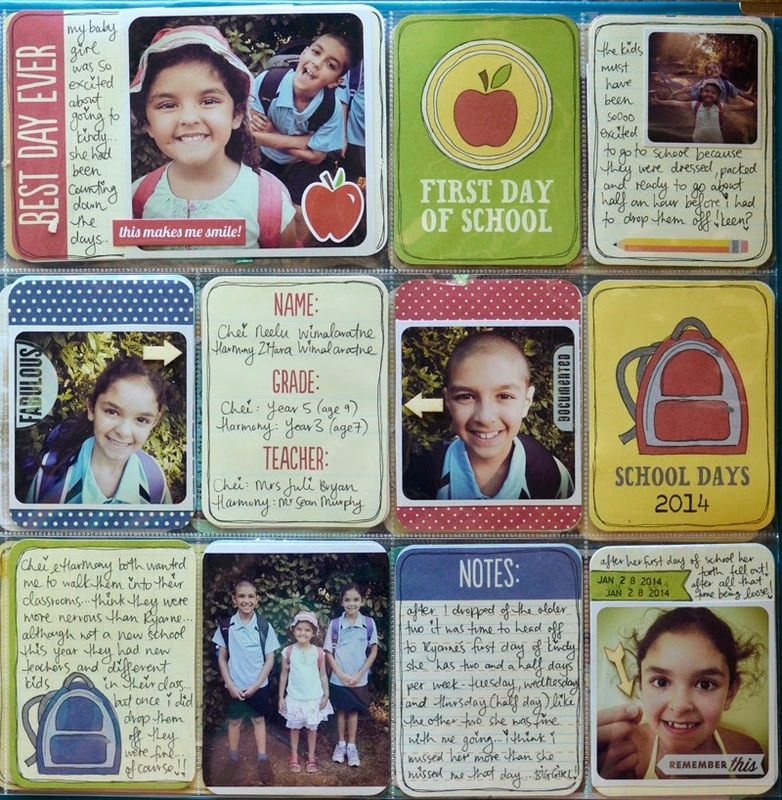 Becky Higgins has released lots of different themed packs to document 'those' moments in your lives. The great thing about these cards is that they don't really need too much embellishing! 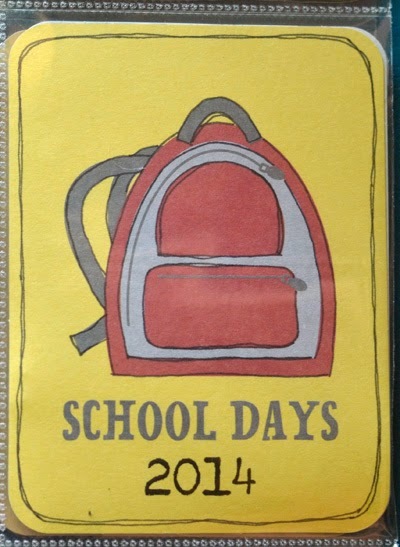 All I really had to do was add the photos of the "first day of school"
I love that there are some really cute school journalling cards with plenty of room to tell the story of the day! 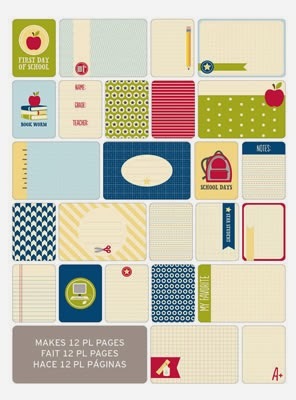 These are perfect for your Project Life School Spreads, not just for the first day but all those other special days throughout the year too - I am sure you will see them through my Project Life 2014 album that is for sure! Hope you are having a WOW of a Wednesday! I hope I have inspired you to Project Life your kids first day of school!